With the start of the Back-To- Sleep Program in 1994, the incidence of SIDS has decreased by more than 40%. 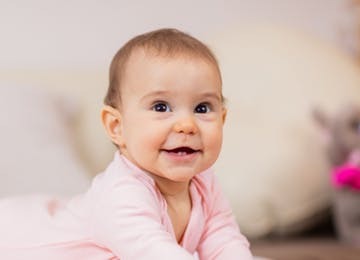 As a pediatric physical therapist, I have found that since babies are spending even less time on their tummies, the incidence of torticollis/plagiocephaly/brachycephaly and developmental delays has more than doubled in my private practice. In my course, Evidence-Based Strategies for Infant Positioning & Handling/Using Tummy Time to Influence Motor, Vision and Language Development, there is a strong focus on the importance of awake and elevated tummy time to set babies up for success with tummy time. I also discuss the negative impact that less awake tummy time has on babies with their future gross motor, fine motor, oral motor, visual motor and perceptual skills. No matter what your discipline or level of experience, in taking my course, you will learn strategies to use in your assessment and treatments that will positively impact your patients’ future development by increasing their tolerance for tummy time.